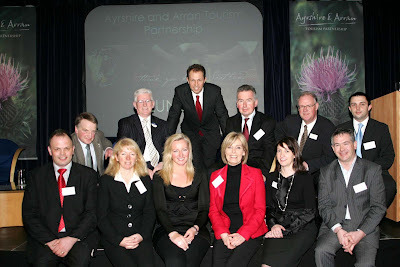 THE Ayrshire and Arran Tourism Partnership Conference was held in the Park Hotel, Kilmarnock sponsored by Scottish Enterprise Ayrshire and Visit Scotland. The event was organised by Ayrshire Chamber of Commerce and Industry. 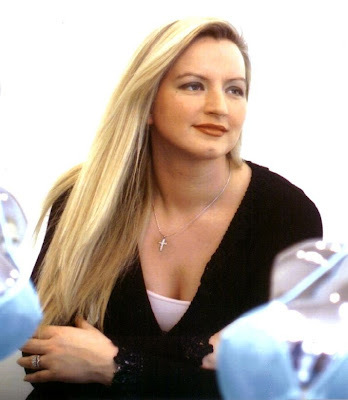 The keynote speaker was Michelle Mone (pictured above), who enthralled the audience with the fascinating story of the success of her bra business. Her humour and tenacity impressed those present, and her message of ‘never give up’ was well received. Almost two hundred delegates attended the event, which was opened by Provost Stephanie Young of East Ayrshire Council. Speakers included Bob Leitch, Chair of the Tourism Partnership, who stressed the importance of the sector working together in a time of change, and Professor John Lennon of the Moffat Centre at Caledonian University, who spoke highly of the food offering in Ayrshire and our readiness to capitalise on the natural assets we have. Gwen Raez, Group Product Manager of Visit Scotland highlighted the new marketing campaign being undertaken and the different customer groups at which it is being targeted. For further information please contact Bob Leitch on 07775 510956.